If there’s one dental treatment that addresses a variety of cosmetic dental problems, it has to be dental veneers. These ultra thin, tooth-colored shells are bonded over the teeth to cover flaws, restore their natural appearance or enhance their look. Dental veneers are considered to be very durable. A veneer can last up to 20 years when properly cared for. Let’s focus on this. Let’s discuss the different ways that patients can make their dental veneers last for as long as possible. Preventing tooth decay and gum problems is one of the ways to extend the lifespan of your dental veneers. While a veneer itself is impervious to decay, the underlying tooth remains susceptible to bacteria. Once bacteria settle and enters the tooth, decay is bound to happen; thus, causing your veneer to fall off and break. Keeping the teeth clean and healthy avoids decay and gum problems. Brushing and flossing must be done the right way. You should also take regular deep cleanings and preventive treatments to avoid tooth decay. Dental veneers thrive best when your tooth and gums are at their healthiest. Daily wear and tear is normal. Dental veneers can handle regular eating practices. Using your veneer-bonded teeth to crack nuts, open bottles, bite fingernails, chew ice and many other forms of unnatural stress will place your veneers under extreme pressure. They will wear and tear easily if you do any of the above-mentioned habits often. Think of it this way, use your teeth only for eating and not as a tool or gadget. Extreme pressure on your teeth also comes in the form of habitual teeth clenching or grinding. If you clench or grind your teeth during sleep, wearing a mouthguard can help you address bruxism (teeth grinding) while it protects your dental veneers. Dental veneers are stain resistant. However, constant exposure to stain-causing foods and drinks can affect the color of your veneers. If you know that you won’t be able to brush your teeth immediately, refrain from drinking coffee, soda, tea, soft drinks and red wine. Stains can stick on your veneers when they are not removed after a while. If you find it hard to avoid foods and drinks that stain, choose the lesser evil. For example, choose white tea instead of black tea. Choose white wine instead of red wine. Try to not swish the drink around your mouth. Drink plenty of water as well, to wash out the stains that may have stuck to your teeth. Be conscious of what you drink and eat and your dental veneers will provide you with many years of functionality and aesthetics. Well-placed veneers are always longer lasting than poorly placed ones. Choose a skilled and experienced dentist to handle this treatment for you. 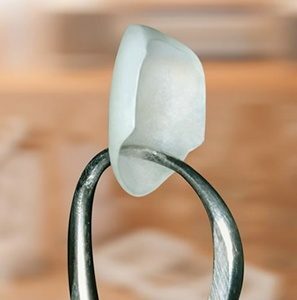 A dental veneer procedure requires a combination of skill, expertise and artistry. The dentist must be skillful enough to successfully perform the procedure, yet he must also have an eye for art and detail, to ensure fabulous results. For top quality dental veneers, visit us, at Buckhead Dental Partners. Dr. Jeffery Ballard has the creativity and experience for dental veneers. Schedule your appointment online or call us at (404) 261-0610.